Have you heard about Mettenden? 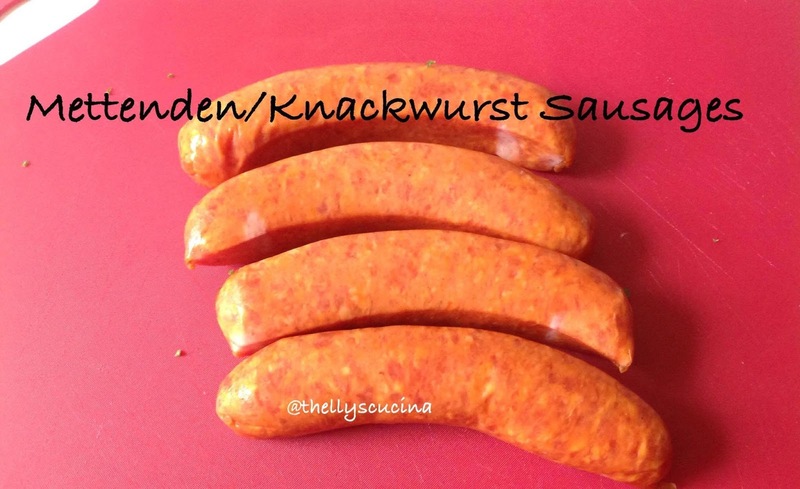 Mettenden is a German kind of sausage made of finely ground beef, pork and fresh pork fat. It is a pre-cooked sausage flavored with garlic, cumin and salt. It is sometimes called Knackwurst or Knockwurst. Wurst means sausage in German language. The other day when I came home from work, I stopped by a supermarket to buy some fruits. When I was checking for the fruits I wanted to buy, I saw a huge pack of freshly harvested kale. I was so happy and put the pack of kale in my shopping cart. I think I have not eaten kale for more than a year. 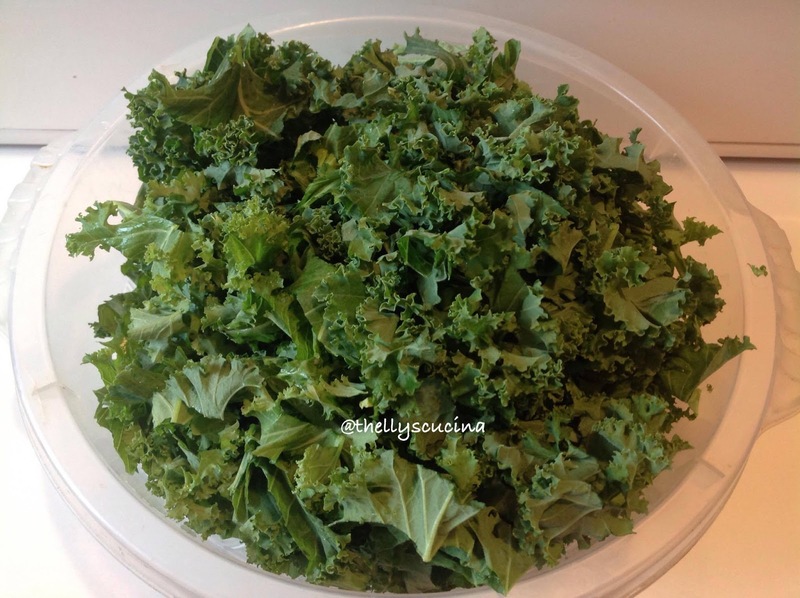 My mouth was watering when I thought about the food that I would love to make with kale. 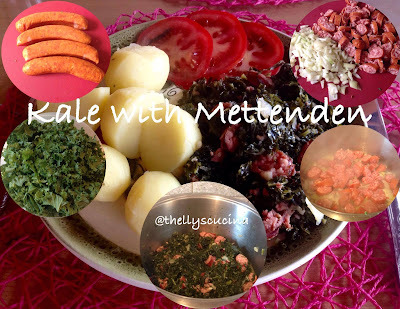 I was thinking of making the typical German food kale with Mettenden sausages. This was our dinner for today. 1. Heat a deep cooking pot on a medium heat. Then add the lard and let it melt. 2. Fry the garlic and then the onion. When the onion looks glassy, add the cut sausages. 3. Stir fry them until the sausages are golden in color. 4. Then add the finely chopped kale in the sausages. Mix them well. 5. Add the broth powder to the mixture. If needed, add water to the pot. 6. Simmer the Kale and sausage mixture on a medium heat for about 30 minutes or until the vegetable is tender. 7. Taste with white pepper powder. 8. Serve with boiled potatoes, tomatoes or salad. You can add chili if you want this food hot. If you don´t have fresh kale, you can use a frozen one. Be careful with adding salt as the sausages are already salty. 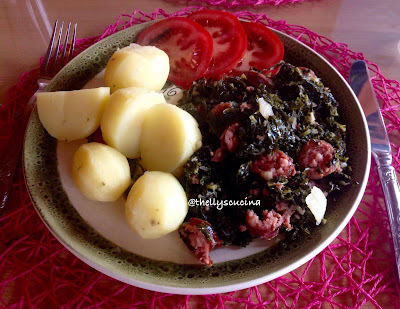 If you want to, you can cook the peeled potatoes together with the kale to save time and electricity. Just cut the potatoes in small slices. Kale is called Gruenkohl/Grünkohl in German language. It is one of my favorite German food which I can only cook in the winter time. 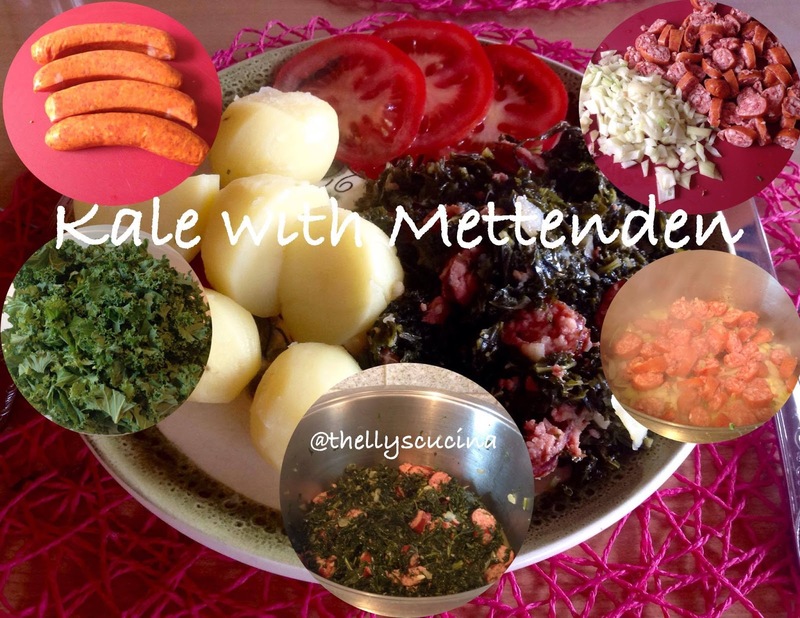 Kale with Mettenden served with boiled potatoes and tomatoes. Thanks for visiting my blog. 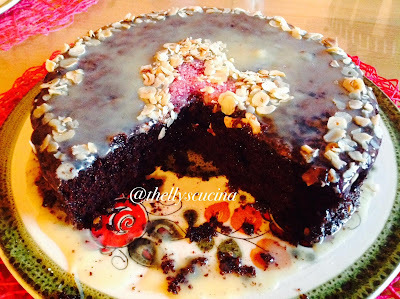 If you want to check more of my recipes, just visit Hubpages and @thellyscucinainternational. I grow kale! I have never tried it this way, thanks for the recipe. Wow! That's great Angie. How do you cook your kale? Thanks for stopping by and have a great new week. Most supermarkets here sell kale boiled in water, with or without salt, just like spinach. Some restaurants use ribbons of raw kale to decorate a plate (I eat it, but most people don't). Some people are more likely to eat their kale if it's sort of stewed together with the meat. 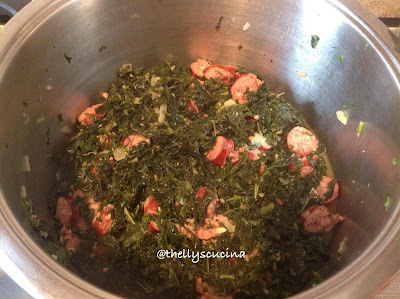 Sometimes I cook some kind of sausage, usually "chicken dogs" (U.S. descendant of Frankfurters), on a bed of chopped kale and/or mustard greens, instead of serving it on bread with mustard.